And one day you see. Then everything changes. You realise there’s nothing to forgive, nothing to heal. It was all just a misunderstanding, an error in the thinking mind. And when you see you know there’s nowhere to go, not in a spiritual sense anyway. You are not on the path, you are the path. New Moon in Pisces is ethereal, sensitive, intuitive, creative, passionate, devotional and quite magical. Mercury, the planet of mind and thinking, has just turned it’s powers inwards and started it’s retrograde phase in Pisces, the sign of the mystics and poets. This cycle of the Moon is indeed the time of dreamers, light bearers, visionaries and love infused light beings. It might be better to forget all about logic and rationality, forget everything that has something to do with precis measures, details or strict arrangements (gee, for some of us it’s time to do our annual tax-return!) , because collective mind is now turned, if not off altogether, then at least upside down and to a whole different frequency. If we try to force our mind to be pedantic, if we even think it should be as sharp as we’re used to, then there might be some unpleasant surprises or frustrating disappointments in store for us. This cycle of the Moon is truly exceptionally like from a fairy-tale, but the magic can also be artificial, deceptive and momentary, or it can be very real and trustworthy, depending on frequency and the source it’s coming from. New Moon is born in Pisces at 16 degree and it’s Sabian Symbol is ”In The Quiet Of His Study A Creative Individual Experiences A Flow Of Inspiration”. And this is what it’s all about now. Silence your mind and and dive into the inner flow of your creativity. New Moon is in conjunct with it’s own ruler Neptune that makes this time even more dreamy and sensitive. There’s also Vesta, the asteroid of kundalini and fire of the soul, in conjunct with Sun, Moon and Neptune. That can be the time when our dormant inner passion awakens or when we find ‘The Thing’ we want to dedicate our whole life to. Even if Pisces is often elusive and obscure, Vesta brings such focus, integrity and determination to it that it can burn all the obstacles away. This is a time of a soul burning love and intensity, but not necessarily in the way that one might think. Many of us who are living aligned with their soul’s purpose may experience a huge inspiration and almost torrid passion, freely flowing creativity and blossoming of the heart that they may have to be extra careful to take care of their physical needs and invest on being in balance in order to stay grounded and not turn into the fiery will-of-the-wisp and vanish into some other realms. Retrograding Mercury is in conjunction with Chiron, which has just changed its sign and started a journey in Aries. This has to do with bravery to start new things and have courage to be exactly who you are carrying your own flag, head held high. Chiron most often represents everything to do with health and well-being, it has a strong healer, teacher and shaman energy. Mercury and Chiron together with this exceptionally spiritually strong New Moon can make us see, feel and realise something that the mundane mind can’t understand and maybe even accept. We are definitely living marvelous times and for some people this may be a real shamanic journey to realms within and beyond mind to the dark chambers of consciousness and to the wonderful magical worlds of your imagination. But without the clarity of consciousness and the light of awareness, there might only be mirages and quicksand ahead. Everything that shines isn’t gold. In the symbol of Pisces there are two fish swimming towards two different directions bound together from their tails. As great as the present energy is in this time, a great pontential to be betrayed is also present. Without clarity and clear consciousness this time can be full of haze, great confusion, uncertainty, insecurity and pointless fantasies. If your inner compass doesn’t work, you have a great danger to fall into the things that seem good on the surface and believe beautiful words which all turn out to be just empty promises, illusions and false mental images. But there’s a blessing hidden in it too, sometimes a disappointment is the thing that makes us wake up and gives us an ability to see through the irrelevant, reach for something real beyond thoughts and material. If you’ve always gone where the fence is the lowest, avoided or ran from something that’s felt too much effort or unpleasant, or other than that tried to reach something in dishonest ways, the payment time is now. Many of the wrong decisions made in the past, fraud, deception and everything that we’re carrying the guilt from (even though we wouldn’t even remember it) might come back around waiting to be paid off with the most bizarre ways. Nonetheless or just because of this there is a tremendous love and mercy present and it is our job to see it and thank it with a humble heart. Sun and Moon in Pisces conjunct Neptune and Vesta, sextile Mars and Saturn, square Jupiter. Chiron conjunct Mercury. Pluto and Saturn conjunct South Node. Mercury retrograde 5.3.-28.3. Uranus ingress Taurus 6.3. Sun ingress Aries 20.3. Full Moon in Libra 21.3. Venus ingress Pisces 26.3. Mars ingress Gemini 31.3. February’s New Moon in Aquarius provides us for the first time in a long time with somewhat refreshing, airy, light and innovative wibes. The feeling in the air is exactly like one feels after a thorough cleaning, after every single bag of old clothing, extra stuff and useless rubbish have been carried out of the apartment and it’s time to buy a huge bunch of rainbow coloured tulips. The feeling you get, sitting there in the long awaited morning sunshine, a blank paper in front of you, new plans tickling in your stomach. In astrology the Moon represents emotions, intuition, relationship to one’s body and wellness, safety, routines, home, caring, and everything that’s instinctive, reactive and familiar. The Moon is the Mother in us; how we feed, nourish and take care, but it’s also the Child in us who needs to be cared for, nourished and kept safe. The Moon is in a very unfamiliar territory in Aquarius, because there isn’t a sign that’s as independent, intellectual, rational and avoidant of everything the Moon stands for than the Water Bearer. has exceptional ideas, and a manic folio hatted conspiracy theorist. Mars that represents energy, action and assertiveness is conjunct Uranus, Aquarius’s own ruler planet. Mars and Uranus in Aries give a very charged, exciting, impulsive and a bit crazy energy to this time. Ideas and plans may get a really rapid beginning.The fuse igniter is so short that at it’s worst the whole thing may explode at one’s hands. This is a very volatile combination. But at it’s best it can support those who are too scared and timid to defend oneself or spend years after years pondering on a possible next move but never actually taking it. This time might give some courage and assertiveness needed to those in need of it. So it completely depends on the person and their life situation how these energies manifest. Impulsive people who eat risks for breakfast may notice that a tiny teeny bit of consideration might have been a marvelous idea before quitting the job, burning the rental contract or sending that breakup text to your loving long term partner. On the other hand those prone to clinging to safety and humbly enduring even the worst circumstances this time may give just the right spark to finally initiate the change. Whatever area in your life or part of yourself that feels outdated or stuck, let these radically fresh and revolutionary energies of this New Moon to blow through and ventilate them. Then you can feel such renewed and sparkling joy that this change – small or big – brings into your life. Sun and Moon in Aquarius conjunct Mercury and sextile Jupiter. Chiron square Venus. Pluto square Mars. Neptune square Jupiter and sextile Saturn. Uranus trine Venus and conjunct Mars. Jupiter trine Mars. Mars trine Venus. Venus ingress Capricorn 4.2. Mercury ingress Pisces 10.2. Mars ingress Taurus 14.2. Chiron retrogrades back to Aries 18.2. Sun ingress Pisces 19.2. Full Moon in Virgo 19.2. Venus ingress Aquarius 1.3. Mercury retrograded 5.3. New Moon in Pisces 5.3. The second to last New Moon of the year is born in the sign of an intensive and secretive Scorpio. There is a quite rare pattern called the Finger of God or YOD present at the time of the New Moon, and the finger is pointing at Uranus, the symbol of change, renewal, freedom and rebellion. This is the time to recognise the cause for dis-ease and use that vague, gnawing and frustrating feeling as a compass towards greater revelations, awareness and the knowledge they bring. Free yourself, make individualised choices and reform your life the way that gives you enough independence, space and possibility to walk uncompromisingly your own path. The energy of time is now built on a pattern that supports growth and expanding, since Jupiter, “the Great Benefice”, is in a benevolent and encouraging aspect with New Moon’s Sun and Moon. It’s possible to establish or develop something inspiring and successful, and it happens by being aware of the defects and taking a leap on the other side of the comfort zone. This can be related to something concrete and material, or be manifested purely on the spiritual side of life, such as expanding consciousness and increasing awareness. Either way, the horizon will broaden and your perspectives may gain new dimensions. Mars is still a little while in Virgo in conjunction with Moon’s North Node, emphasizing the meaning of your own goals, confidence and assertiveness. “Create your own destiny” is a good motto for this time, and everything you do in order to clarify, detail or cultivate your plans or means to fulfill them are highly favourable. When we get closer to the Full Moon (26.11. ), the double act Neptune and Saturn are tightening their strained relation and evoking certain important themes especially in the lives of Sagittarians, Geminis, Pisceans and Virgos, who are born right at the end of the month. Neptune symbolises fantasy, idealism, sensitivity and escapism, when Saturn as it’s opposite represents concreteness, structures, responsibility, realism (or pessimism) and a sense of duty. We should get these two counterforces to work together in harmony, supporting each others, to make dreams come true, making practical decisions or building helpful routines that can make life flow much easier and brighter. Which one do you need to strengthen in your life right now, firm sense of responsibility, strict rules and straight limits or more allowing attitude, softness, fairytales and pink candy floss? Central themes: Sense of direction, focus, independence, own strength, expanding consciousness, new horizons, accepting the pain, turning frustration into an asset and using gnawing emotions as a compass, combining idealism and rationality, balance between duties and dreams. 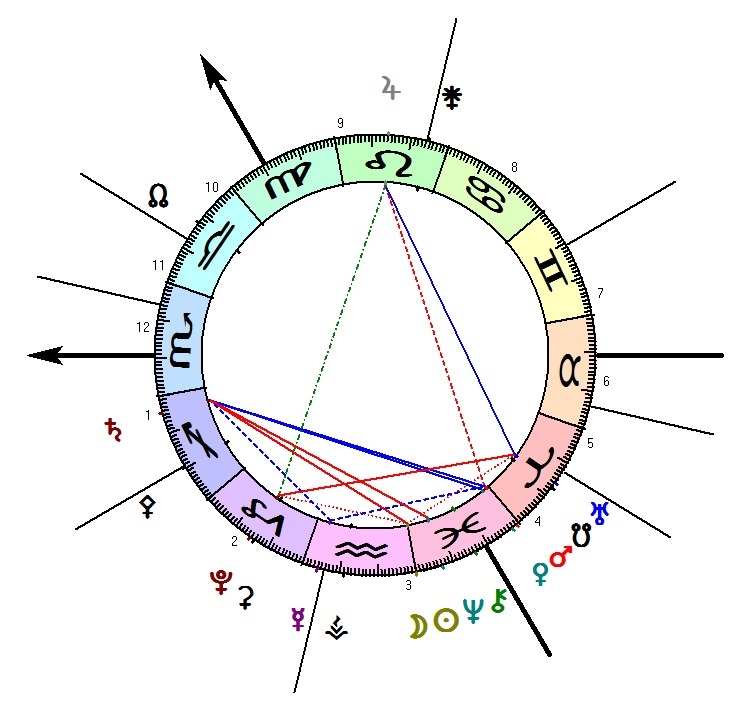 Astrological codes: Mars conjunct Moon’s North Node, Mars ingress Libra, Neptune SD, Mercury ingress Sagittarius, Venus square Pluto, Sun ingress Sagittarius, Mars quincunx Neptune, Venus opposition Uranus, Uranus semi-sextile Chiron, Saturn square Neptune, Chiron SD, Venus ingress Scorpio, Mars square Pluto, Mercury ingress Capricorn, (Mars opposite Uranus). As the first sign on the zodiac, New Moon in Aries (April 18th) launches a brand new cycle, beginning a year-long journey during which the Moon is reborn in each sign of the zodiac, activating different themes in our lives. Whereas March’s new moon in Pisces signaled a time of relinquishing, letting go, and closure, with the current moon, we have reached a new beginning. At best, we may feel like we can make a fresh start, brimming with excitement and childlike pleasure for the opportunities and changes ahead. You can bring this energy into your life by picturing your life as an empty slate in your mind – a tabula rasa –that is unburdened by memory traces from the past, or mental structures of an imagined future. Today is the day to start afresh – light, free, and childlike. The new moon being conjunct the Artemis asteroid brings its own interesting flavor to the current period. Out of the Greek goddesses, Artemis was the self-assured and stubborn one, proud in her femininity, and showing solidarity for women; she was a wild and free forest maiden, virgin warrior, midwife, and witch, who knew what she wanted and pursued it tirelessly. What better time, then, than the current moon, to awaken slumbering or active feminine energies, to employ your full potential, and be empowered as never before? I would like say that this moon is dedicated to women who – to quote the title of the famous book by psychoanalyst Clarissa Pinkola Estés – run with the wolves. All in all, the themes of the current moon are taking initiative, finding and applying one’s own power, frankness, honesty, truth, and discovering hidden strength. The time of victimhood, helplessness , and living in the past is over; embrace your new life as any warrior of light would, and wake up each morning feeling regenerated, cleansed, and full of joy, wonder, and gratitude for the surprises, opportunities, and adventures life has to offer you. Central themes: new beginnings, excitement, childlikeness, tabula rasa, first steps, courage, trust, a leap into the unknown, wildness, freedom, wild femininity, hidden strength, rebirth. 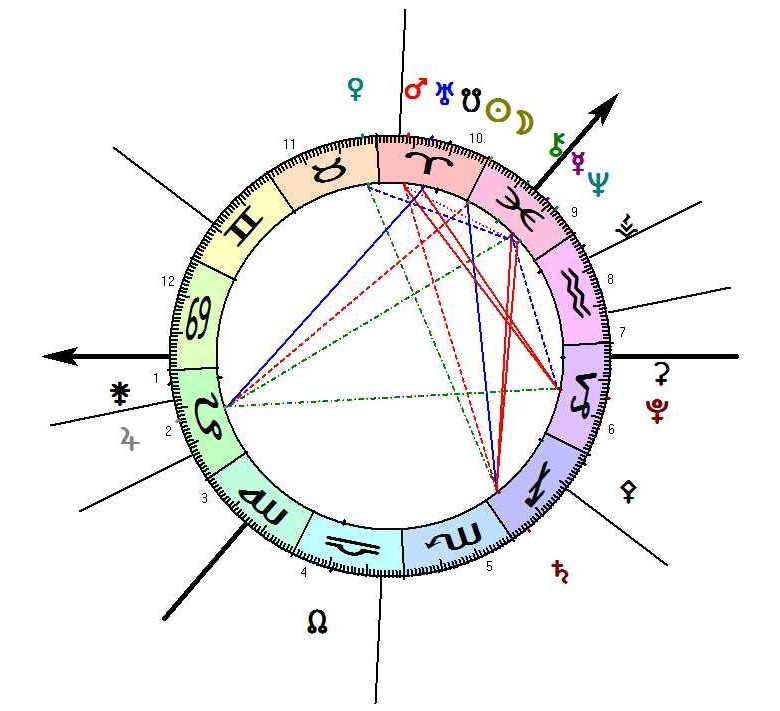 Astrological codes: Pluto retrograde, Mars square Jupiter, Sun ingress Taurus, Mars trine Pluto, Mars sextil Chiron, Mercury ingress Gemini, Saturn semi-square Uranus, Venus ingress Cancer, Mars ingress Gemini, Mars semi-square Pluto, Mars opposition Saturn. Ultimately, it is all about letting go. This cliched phrase means different things for different people, and although it may sound simple, there is something fundamental, something very important and currently relevant, about it. You cannot begin a new life with a bag full of old junk. Forgiveness and giving things up are prevalent themes. The broadening of consciousness, new points of view, new epiphanies that challenge old interpretations are all supported by the current moon cycle. From a spiritual point of view, forgiveness is about seeing events in a different light, and realizing that there is nothing to forgive. Consequently, things that have upset or bothered you might be neutralized. You might feel as if the thing you had intended on carrying with you until the bitter end is suddenly inconsequential, and simply falls away. This phenomenon indicates a release from Karma; something that has been charged with Karmic energy before has now become neutral, and closure has been reached. As I mentioned in the February forecast, birth charts featuring significant factors in the middle of Capricorn,Cancer, Aries, or Libra (14-16°) have been the ones most impacted by transformative and dismantling energies. Although these stormy energies have manifested on a global scale, there are some people who have been undergoing an internal process of transformation for years. This period of cosmic uprooting is finally coming to its end, allowing for stability and permanence, and a chance to (symbolically), resow this newly ploughed land. Spring is coming. Life begins to bloom once more, and new things will grow from fresh soil, onto a more stable base than before. Central themes: letting go; giving things away; release from karma; purification; transformation; dismantling of structures; collapse; relinquishing control; exhale; courage to move on; following through; closure; forgiving old debts; release; atonement; letting go of restrictive interpretations of the past; preparing for a new cycle; birth. 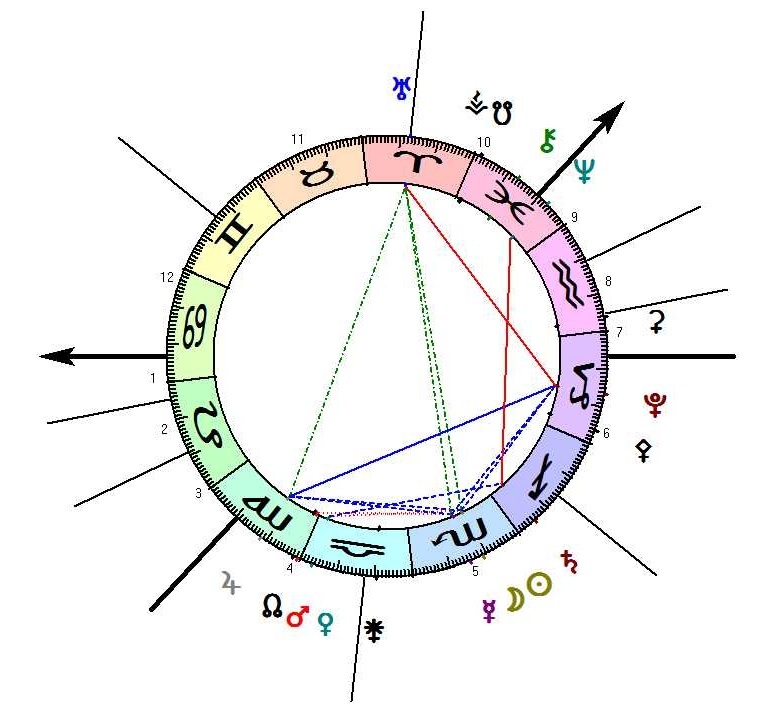 Astrological Codes: Solar Eclipse in Pisces, Sun ingress Aries, (Uranus square Pluto), Mercury ingress Aries, Mars ingress Taurus, Mars quincunx Saturn, Mars semisquare Chiron, Jupiter in Direct Motion, Venus ingress Gemini, Mars sextile Neptune, Pluto Retrograde. January’s new moon was in Aquarius and , believe it or not, the year’s second new moon (February 19th) is also in Aquarius – as if to emphasize the independent, mutinous, yet friendly nature of the zodiac. Although the new moon is born in the same sign as last month, the themes of this period are different; Aquarius, always ahead of its time, seeking change and the newest trends, new points of view and ways of doing things, is certainly not one for repetition. The four week long Mercury retrograde, which is now over (also in Aquarius), gave us a chance to reflect on the choices we have made in our lives in a challenging and critical way. The misunderstandings, cancellations, and disrepair connected with Mercury retrograde are behind us for the time being, although we’ll only be properly shot of this theme next month (March 3rd). The energies of the moon cycle will activate relationship questions and/or creativity. From the dreamy and passive Pisces, the main couple – Mars and Venus – will be moving into the dynamic and initiative Aries at the very start of the period (February 20th). This reflects the climate change in life energies as the fiery, excited, and somewhat self-involved and carefree Aries ushers in the spring, awakening primal instincts and creative powers, and demanding instant attention. This can entail a sense of freedom, and elation over things finally progressing. The downside includes rash and abrupt solutions brought on by festering frustration and an almost obsessive need to take charge and set things in motion, without consulting others. This moon cycle the bad boys of astrology, Uranus and Pluto, will finally be clashing horns after playing cat and mouse for the past few years. 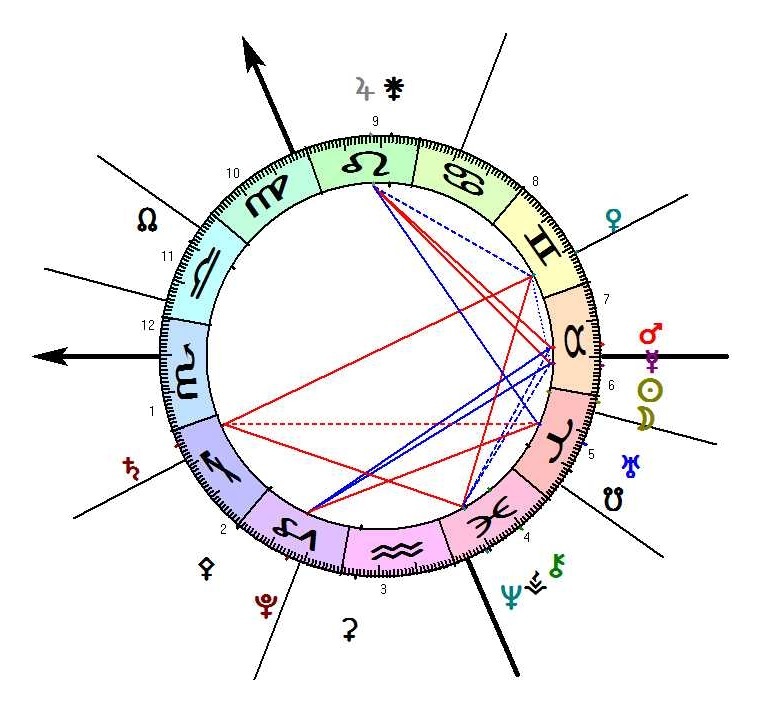 Markers of transformation and the dismantling of ineffective structures, this cosmic renovating team will most impact those whose birth charts include significant factors in the middle of Capricorn,Cancer, Aries, or Libra (approximately 15° on the tropical zodiac. These people have transformation process spanning several years ahead of them, and its objective is to dismantle old ways of operating and old systems of value; to let go of anything that is no longer meaningful, and does not support creativity, happiness, and growth. Naturally, this is also a collective phenomenon, whose influence can be witnessed in wider scope in world events. Central themes: Straight to business. Excitement. DIY- thinking. Independence, taking initiative, passion. Creative passion. Love. Taking charge. Transformation. Head-on mentality. Astrological codes: Sun ingress Pisces, Mars ingress Aries, Venus ingress Aries, Mars trine Saturn, Jupiter quincunx Pluto, Jupiter trine Uranus, Mars trine Jupiter, Mars conjunction Uranus, Mars square Pluto, Saturn Direct Motion (March 14th), Uranus square Pluto, Venus ingress Taurus.